Would you like more comprehensive help? Book a teleconference appointment and get started on the right path to journey well. Support material is emailed to you and much more. 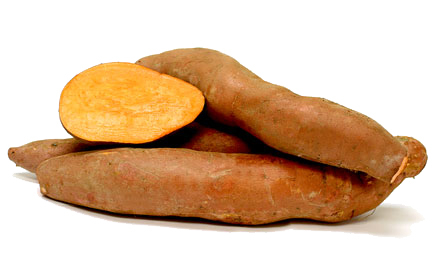 You may believe the information that Mexican wild yams contain DHEA; this is untrue. Wild yams contain a plant hormone called diosgenin, which chemists extract and convert to synthetic DHEA for dietary supplements. Your body is unable to convert diosgenin to DHEA, so on its own diosgenin is not a substitute for DHEA. There is no evidence that consuming Mexican wild yams will increase your DHEA levels. What's more, hormones can exert powerful effects on the body, so only take DHEA under your doctor's supervision. Some studies show that people with a positive outlook actually create a self-sustaining cycle of DHEA production: they produce more DHEA, which may affect their levels of serotonin (the happy neurotransmitter. One proven way to boost levels of DHEA naturally is to find ways to cultivate joy in your life. This can mean different things to different people but overall joy is your best supplement to take daily. Since DHEA is a hormone, it is best used for short periods of time, as long-term supplementation may be linked to hormonal-type cancers, from breast to prostate cancer. YAMS ARE NOT THE HORMONE BOON YOU THINK Turn up the laughter and joy in your life and your DHEA levels will go up naturally. Go on don't eat a yam be a HAM!!! sam I am....ha ha made you laugh. A little Dr. Zeus goes a long way and is good for the soul. HATE TO SAY IT BUT HERE GOES: To maintain healthy levels of DHEA with proper nutrition (try this), stress management and exercise. Saliva adrenal profiles can also be used to look at DHEA along with cortisol levels and adrenal imbalance, hormonal imbalance or a DHEA imbalance. . Look at how you are feeling; what demands are being placed on your body, in particular your adrenals — and your emotional state. your immune system. Bee Propolis helps support healthy adrenal function. * Bee Propolis is beneficial for improving energy levels. Elecampane, Golden Seal, Gentian, Mugwort, Bugleweed). system and for overall health. performance. * Supports healthy adrenal gland function. Supports healthy digestive function. * (Siberian Ginseng. Dong Quai, Juniper Berry, Bee Pollen, Licorice Root, Peppermint Leaf, Capsicum, Gentian, Blessed Thistle, Eyebright). Pollen, Eyebright, Licorice Root, Gentian, Prickly Ash Capsicum). He Shou Wu - Helps to enhance energy levels. * Supports a healthy circulatory system. within the normal range. * Enhances energy and focus. (Bee Pollen, Licorice Root, Rice Bran, Sweet Root, Juniper Berry). health. * Helps with mood balance during menopause. Rice Bran - Pure Herbs Rice Bran is a beneficial tonic for support of overall health. * Helps to enhance energy levels. healthy immune function. * (Bee Pollen, Bee Propolis, Royal Jelly. helps to support a healthy nervous system and adrenal gland. Helps support a healthy respiratory system and mucous membrane lining of the respiratory tract. is beneficial for menopausal discomforts; is beneficial for glandular support; is beneficial for adrenal support. Energy and improved immunity. Beneficial for supporting the immune system, maintaining healthy digestion and adrenal support. provides antioxidants for the maintenance of good health; is beneficial for supporting your immune system; helps support healthy adrenal function; beneficial for improving energy levels. Helps to enhance energy levels and mental performance. * Supports healthy adrenal gland function. * Supports healthy digestive function. * (Siberian Ginseng. Dong Quai, Juniper Berry, Bee Pollen, Licorice Root, Peppermint Leaf, Capsicum, Gentian, Blessed Thistle, Eyebright). for good health; is beneficial for circulation and support of healthy blood vessels. pressure already within the normal range. within a normal range. * Supports cardiovascular health. maintaining healthy blood pressure already within the normal range. Beneficial for maintaining a healthy circulatory system. already within the normal range. * Helps to support a healthy circulatory system. * Horsetail is beneficial for proper joint function. * Promotes growth of healthy hair and nails. H.T. Combination (liquid & capsules 100 ct) Supports healthy cardiovascular function and helps to maintain healthy arteries and blood vessels. * (Hawthorn, Myrrh, Motherwort). cognitive ability. * (Lily of the Valley, Blessed Thistle). range; is beneficial for occasional fatigue and muscle soreness. P.A.-K - Supports a healthy circulatory system and blood health. (Echinacea, Golden Seal, Virginia Snake Root). already within a normal range. within the normal range. * For the maintenance of blood health. Helps maintain healthy circulation and blood flow. * (Sassafras, Meadowsweet, Willow, Horse Chestnut Leaf, Red Clover Flowers, Guaco, Guacatonga, Gentian, Marshmallow, Gravel Root, Knitbone. Calendula is beneficial to maintain healthy circulation and digestion. It also assists in supporting the overall health of your skin. Beneficial for nourishing and maintaining healthy circulation to the eyes. * (All Heal, Bayberry, Gentian, Golden Seal, Gravel Root, Chickweed, Peach Leaf, Dandelion Leaf and Root, Purple Loosestrife, Eyebright, Wheat Germ, Ginger, Wood Betony). Beneficial for maintaining healthy, clean arteries. (Ginkgo, Gotu Kola, Chickweed, Flax, Stone Root). harmony, rhythm and melody. The herbs blend and support each other and become much more than each separately. Such a combination is B.P.-W. Here the combined attention is to provide the strength to clean and normalize the blood stream. HYG.-W - Helps to maintain healthy blood sugar levels already within the normal range. * Enhances energy and focus. * (Bee Pollen, Licorice Root, Rice Bran, Sweet Root, Juniper Berry). Knitbone & Fenugreek - Helps maintain healthy lymphatic system and blood.Knitbone, Fenugreek). L.B.R.-W This combination of herbs is beneficial for maintaining healthy blood sugar already in the normal range. This combination of herbs is beneficial for occasional constipation. (Greasewood, Marshmallow, Butcher's Broom, Barberry, White Oak Bark, Bitter Orange, Angelica, Sweet Root, Senna). Taking papaya leaf extract may help boost platelet count and promote immune system function, modern science now shows that Papaya may also aid in the fight against cancer. The increase in the white cell count by papaya plant is well established in several regions including Australia, South America, Philippines and Africa, and has shown proven results of drastic boosts in platelet count. Papaya Leaves contain the papain enzyme and is a rich source of anti oxidants, about 20 times more powerful than Vitamin E.
By using our Papaya Liquid Extract you will see results 4 times faster than using a pill or capsule. Other herbs for low platelets: ashwagandha, , licorice root, agrimony and astragalus, among many other herbs, can be used to increase levels of platelets. go here for all other herbs listed here. 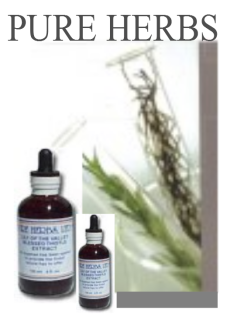 Herbal Extracts are made to exacting standards, such as those of the German Pharmacopoeia, with a Certified Organic grain ethanol acohol base. 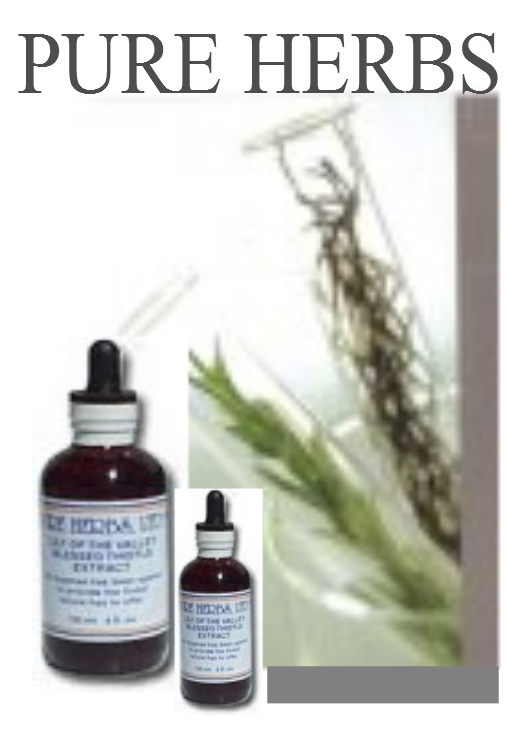 Our extracts have a herb strength of 1 to 1 and a 25% alcohol content. Our extensive line of 200 herbal extracts includes many Certified Organic (C.O. )- all grown in compliance with the National Organic Program; some Responsibly Wild-crafted(WC). I have low platelet counts due to pregnancy induced Thrombocytopenia. This is my 3rd pregnancy to have low platelets. At the time of delivery, my platelets have been 104 and and 107 in the past. If platelet count is below 100, most anesthesiologists will not give an epidural due to risk of spinal bleeding. For me, this would mean a c-section with complete anesthesia. If platelets are too low, there is also a risk of a platelet transfusion. When my labs came back with a platelet count of 107, I was sent to a hematologist. A week later, my platelets had dropped to 98 with 10 weeks left in my pregnancy. I ordered the Papaya Leaf Extract and took it for 10 days. My platelets jumped to 131!!! I took it throughout the rest of my pregnancy and my platelets stayed strong. The extract tastes awful, so I mixed mine in juice and then you can't taste it. Works great! I have been using this product daily for 5 months (1/2 oz (15 ml) twice daily with food) and have seen an increase in my platelets from 80 to 122. I highly recommend this product. I have tried another brand that was much more watered down and BY FAR this brand from Iowa Select is the best on the market. once a quarter through the year. Burdock - Supports healthy kidney function. * Supports detoxification of skin, liver and lymphatic system. healthy thyroid function. * (Dulse, Horsetail, Rosemary, Sage). Adjustment, Echinacea, Wheat Germ, Wild Rose Hips). Virginia Snake Root - Helps maintain the structure of the skin. * Helps to support the health of the skin. * Helps maintain the healthy functioning of the skin. * Helps maintain the healthy functioning of the glands in the skin. system and promotes a feeling of calmness. * (Blue Vervain, Blue Cohosh, Black Cohosh, Indian Tobacco, Scullcap). (involuntary) nervous system. 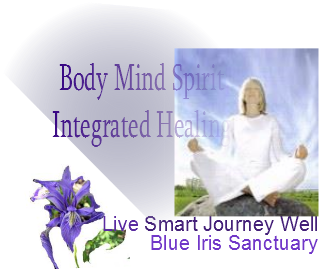 * Provides neuroprotective support for a healthy nervous system. * (Alfalfa, Parsley, Chamomile, Gotu Kola, Barberry, Black Walnut, Scullcap). Blue Vervain, Rice Bran, St. John's Wort, Horsetail, Feverfew, Indian Tobacco, Wormseed, Cudweed, Universal E.R). a tonic for overall good health; helps relieve occasional restlessness and/or nervousness. 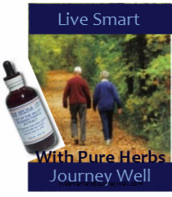 * Pure Herbs E.H.-T supports a healthy circulatory system and venous tissue. * (Rice Bran, Life Everlasting (Cudweed), St. John's Wort, Gotu Kola, Lady's Slipper, Kava Kava). of mental exertion. * Helps to improve memory function. * Supports a healthy nervous system and promotes normal respiratory function. * (Sarsaparilla, Ginger, Gotu Kola, Siberian Ginseng, Wild Rose Hips). and/or nervousness. * (Kava Kava, St. John's Wort, Ginkgo). Blue Vervain, Scullcap, Hops, Valerian Root). N.P.-T - Helps to relieve temporary nervousness and nerve pain (St. John's Wort, Scullcap, Siberian Ginseng, Oatstraw). write to me and ask what herb combo to use for shingles. nervous system. * R. & S.-W - Supports a healthy nervous system. * Promotes a feeling of calmness to help in providing a restful sleep. * (Valerian Root, Blue Vervain, Lady's Slipper, Chamomile, Scullcap). nervous system. * (St. John's Wort, Valerian Root, Passion Flower, Hops, White Willow Bark, Kava Kava, Chamomile, Red Raspberry Leaf, Rice Bran, Brewer's Yeast, Rosemary, Angelica Root, Anise, Peppermint Leaf, Chickweed, Licorice, Scullcap).